First, these are unrelated trades and unrelated players and unrelated situations. I don't see how the Martinez trade from Detroit to Arizona at the deadline shares anything with a possible Goldschmidt to Cardinals deal, just as Shelby Miller's move from Atlanta to Arizona had little to do with Miller's move from the Cardinals to Atlanta. Second, because they would have the months of production that would merit the higher cost. That production is valuable. Thoughts on reporters "crediting" other reporters with "mentioning possible interest" or "concept"? Seems overkill especially for deals that haven't or may never happen. It makes me feel old, honestly. How likely is Harper at this point? Have the cardinals moved on? Waiting for price to drop? Or are they actively pursuing him? As likely as he was a week ago, three weeks ago, a month ago. It's difficult at this time of year to articulate pursuits because one person's "actively pursuing" is another's "kicking the tires." We can slap all sorts of labels on this and ignite Twitter with buzzwords and speculation, but here's where things stand: Scott Boras is still shopping his client around, talking to front offices, talking to owners, and trying to build, build, build the market so that he can get close to an asking price that isn't always revealed at this point. The pace is slow. Just like Holliday, just like other clients, just as like we expect. The Cardinals and Boras will meet at some point during the winter meetings. Boras at some point -- if it hasn't happened already -- is going to have a conversation with DeWitt. So, no the Cardinals haven't moved on -- because they don't know yet what they're moving on from. So, no the Cardinals aren't waiting for the price drop because when has that ever happened this early in the process? And in the same way they are actively exploring a variety of routes this winter, they are actively exploring that one, and we're coming up at a time when the free agent or the team that they're talking to is going to want them to pick a direction or move on themselves. If the Cardinals make a Blockbuster deal, how likely is it that they will move Wong? The reason I ask is that there isn't an obvious position for the Cardinals to upgrade, and Gyrko Carpenter, and DeJong can all likely play second. Also Wong is relatively long term cost controlled and someone a rebuilding team may be interested in. Haven't really heard Wong come up this winter. Cardinals have told anyone who will listen that they are sold on DeJong at shortstop and see him as the future there, and one of the people who heard that was also told that the Cardinals are happy with their up-the-middle options: Wong, DeJong, Molina, and Bader. And they're looking to the wings. Do you know what LH RP are in the FO sights? stltoday.comA deep dive into the statistics help reveal what lefty reliever that could be the best fit for the Cardinals -- and a few that aren't. Why would I not be willing to say? It would be a curious chat if I wasn't. From the Cardinals perspective: A success. Heyward was a big part of their last playoff team and one of the best run-prevention teams the Cardinals have had. They dealt from depth (pitching) to make that possible and they were able to get Miller's production from young, rising pitchers. From my perspective: Also, they were able to remove a pitcher that had been square-pegged into a weird round role by the manager. So, win-win. What if Cards sent Fowler and a prospce to SEA for Seager? So, I've been asked this a lot for some reason and fail to see how this makes sense for the Mariners or for Fowler. If someone can make that case, I'd be all ears so I can offer an informed response. Trick question. The correct answer is Die Hard. Thanx, Derrick, I read that piece on LH RP when published. Any feel yet on who have been target? Not since that article, no. Still more pushing them toward Britton than Miller, it seems, from the outside. Would not be a shock at all if they come out of the winter meetings, at the latest, with some answer to the left side. When you look at other winning teams they have 2 or even 3 big bats. If we did sign Harper we have an even greater log jam so why wouldn't getting Harper and Goldy be possible? Precedent, I guess. I get how the math would work, right. Harper would be the long buy, and Goldschmidt would be the grab-and-go one-year add to focus entirely on 2019 and then take the draft pick when he signs elsewhere, like a place with a DH or something. It's not outlandish when you spell it out. It's just unlike the Cardinals to put so much into one season and not play more of a the long game. That said, they need to change something. They have to shift their approach or modify their algorithm to meet the market and improve the team. This chorus has been sung before in the chat at this time of year. We see an interest in doing so. The Cardinals have shown that. They haven't the complete deal to do so -- or received the return on the deals they have made. No. Months without the needed bat are missed months and costly months. The NL Central cannot be won in April or May. It can be lost. Would a Shelby Milller reunion with the Cardinals make any sense? He did thrive here once upon a time. I wonder. I don't have any inside info on this, but it would be worth exploring from the Cardinals' point of view. He's going to end up with Houston, right? Isn't that predetermined? 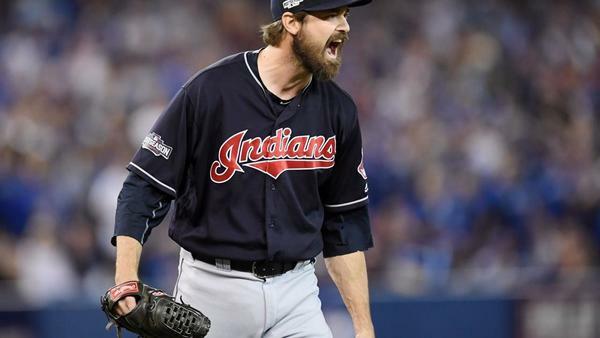 But, a match with the Cardinals is certainly there, and as many pitchers as they have the addition of Miller would be a low-risk, upside move. What actually will you be doing during the winter meetings? Is it a matter of just hanging around the lobby following up on rumors? Hardly. No, it's chatting with you guys. We'll have daily chats from Vegas. Why do you think the Cardinals have had so much more success drafting and developing pitchers than position players? First, where they draft. It's pretty clear that the sure-bet, no-doubt position players go early in the draft, and once you get into that 8, 9, 10-25 range you're looking at high school position players or college players with one sharp tool or a balanced game but not the thunderous prospects that go higher. A tour of recent drafts reveal that. Second, the Cardinals are really good at developing pitching. That's a huge part of the equation. They can take a Maness or Rosenthal or late-round grabs and find a way to develop them into a contribute. How they do has been studied and copied by other teams, and some teams have tried and just not been successful at it. Two of them are in the same division. Another team recently chided Mozeliak for having a machine in his office that duplicates 6-foot-6, righthanded starters. Well, he has a machine that identifies them for sure -- and he has a staff in the minors that is really good at nurturing them. MLB.com had an article where they claimed "Seager for Fowler" was just crazy enough to make sense. That's why you are getting the questions. Like you, I don't think it makes sense at all for either team and certainly not for Fowler who has no trade protection. Also, the best Christmas movie is Gremlins. I will accept Gremlins as a strong challenger to Die Hard, and thanks for the information on the genesis of these questions. Wonder if the story said why Fowler would like that move. Do you think Harper makes his decision next week, being that it's in LV? Let's all hope. The theatrics would be epic. Perhaps Nelly could host the presser. Any update on a possible Tyson Ross reunion? There hasn't been no. Nothing to offer there. Trade Carlos Martinez, Carson Kelly and Jose Martinez to the Astros? Get left handed hitting outfielder rookie Tucker, their top pitching prospect Whitley and? Why? You do know who runs Houston, right? I've always been a big fan of Adam Ottavino since he was with the Cards a few years back. Is there any interest in bolstering the bullpen with the addition of a filthy righty. If not Ottavino, has anyone inquired about David Robertson? Have not heard a peep about Ottavino, and that's not a surprise. Hard to see the match there. Ottavino really blossomed when he left the Cardinals, and yes there has been a great change around the Cardinals and in his role, but he's still seen as a pitcher they have others like, many others. I was thinking about Robertson today, looking into that match, and whether he made some sense for the Cardinals, trying to follow up on conversations about him at the GM meetings and since. It has not been dismissed, not like some others that you could easily do, but the focus does appear to be on lefties at this point. More likely: Ozuna returns to 2017 levels, or Fowler returns to 2016 levels? A third likelihood: Fowler to 2017 levels.